Willow Run Foods leases their entire custom fleet of 124 tractors, 15 compressed natural gas (CNG) vehicles and 140 trailers from Ryder. Ryder’s on-site maintenance operation ensures optimal fleet performance for all refrigerated trailers and dry vans. In 1949, Willow Run Foods, Inc. (Willow Run) started as a small egg-delivery business serving “mom and pop” restaurants, bakeries and schools. Since then, the company has evolved and in 1989 became an employee-owned company that distributes a wide range of food and restaurant related items, including produce, meat, bakery items, napkins, straws, and even brooms for some of the biggest names in the fast food industry, including Wendy’s, Arby’s, Checkers, Popeyes and Five Guys. Every week, the company must execute a smooth and on-time schedule that includes more than 2,500 stops. Every day, Willow Run must safely deliver fresh food and other products to hundreds of fast food restaurant locations. Ryder provides a customized, 100% leased fleet of 124 tractors, 15 of which are compressed natural gas (CNG) vehicles, and 140 trailers. 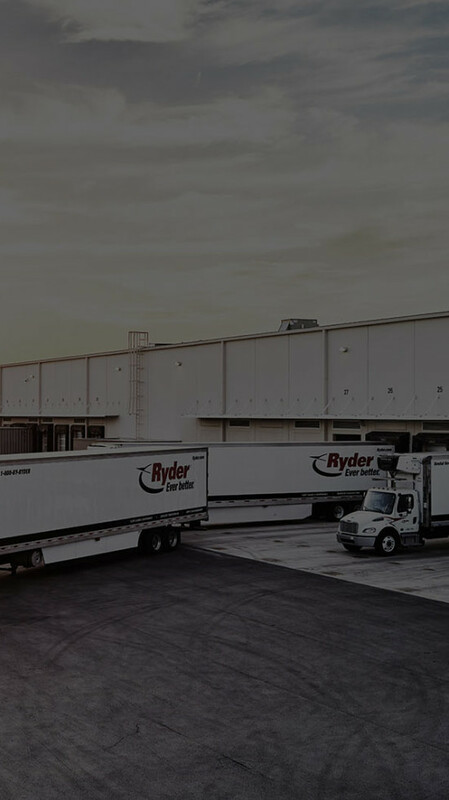 In addition, Ryder’s on-site maintenance operation and team of expert technicians ensure optimal fleet performance for Willow Run’s extended fleet of 138 refrigerated trailers and two dry vans.